Dewey’s readathon has kicked off and I am (not so) ready! It seems that time flies and suddenly you were supposed to sit and read, but you are thrashing through the last few points on your to-do list for the day. I wanted to take some pictures before I got started, so I could update this blog post with photos along the way and not be dependent on good lighting, but now I think I’ll end up taking a break and do some photos then in stead. Oops. However, reading should also be done! I am going to be active here and on Instagram, and feel free to drop by. As mentioned in my previous post I expect to read (some – if not most – of) six books. The books I plan to read are a mix of different genres and are chosen partly because of that. Hot Mess by Lucy Vine. 248 pages. I forgot to make hummus! It’s so bad! But I will have to make it later. I did however shop both fruits and vegetables, and cookies and candy. So I think I will be set. I’ve made smoothie and bought and ice cream for later. The dinner has been taken care of and there’s not much left for me to do, but read. Final Girls will be my first read for today. I’ve wanted to read it for so long and I finally got my hands on it at my library. I will be reading it in the Danish translation, which I am quite excited to do! 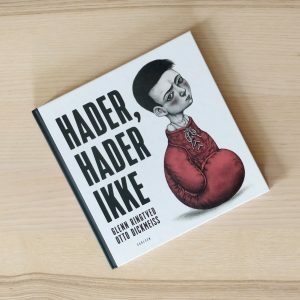 I normally prefer to read books in their source language, but lately I’ve been very fond of reading in Danish. I don’t really have a lot of expectations for this readathong-wise. Or, that may have come out wrong. What I mean is that I hope to finish it today/tonight, but I am not sure I will. I have high expectations for it bookwise. I have heard many good things about it and I am very much in the mood for a thriller right now! Also; both Karin Slaughter and Stphen King has praised it, so i really hope I’ll love it! What are your first read for today? 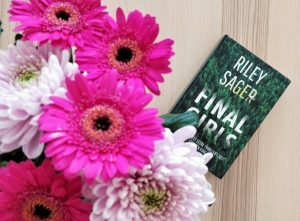 I am halfway through Final Girls and really enjoying it! Although one of the characters annoy me so much it almost makes me want to put down the book and start something else. But the story is great and I want to keep reading it! I also like how the chapters are put together. I should probably eat dinner by now, but I do not feel hungry. So I ate a kiwi instead and took a banana and a bag of store-bought cinnamon rolls (kanelgifflar) with me to the sofa. 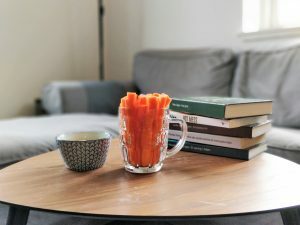 I’ve also eaten a pound of carrots with hummus since the readathon began, so maybe that’s why I don’t feel particularly hungry. I will keep updating this post for the entire readathon! Today Dewey’s Readathon begins and I am going to be a part of it. At least for som time since I have a birthday to go to later today. Also, the whole staying awake for 24 hours is not really something I am good at. I hope to get through more than half during this readathon, but not knowing what I am going into or how I will hold up, I just hope for the best! 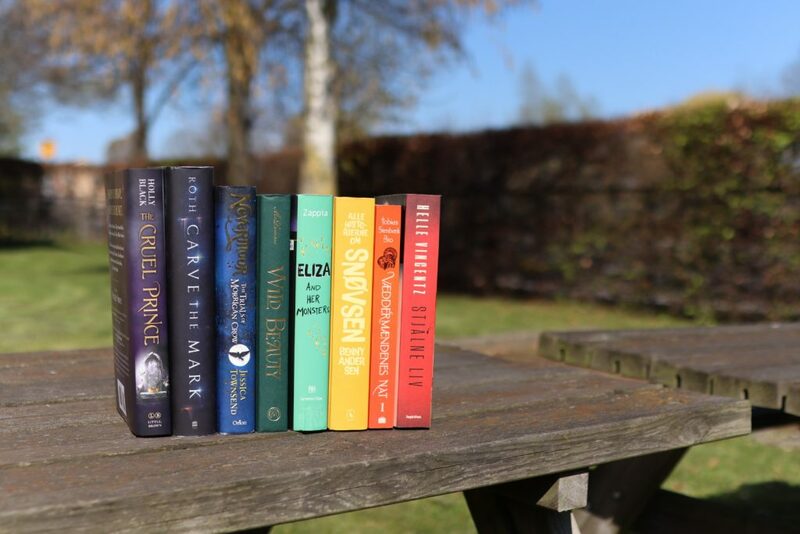 I will keep updating this post the further into the readathon as we get! Please, feel free to comment where you keep updates on your readathon! I will begin with Drengen der fik en hunds hjerte, since I started it a long time ago and really need to finish it. I just finished Drengen der fik en hunds hjerte and also had a little bite to eat. 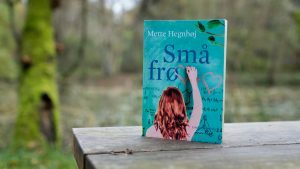 The book turned out better than I had hoped for, now I will continue with Mette Hegnhøj’s Små frø (Small Seeds) before I have to leave for my boyfriend’s brother’s birthday. We leave at 16:45 (4:45pm), so I know I won’t get far into it, since I also need to change clothes before we leave. I dont know when we will be home, but I’ll make sure to write an update, when we do. 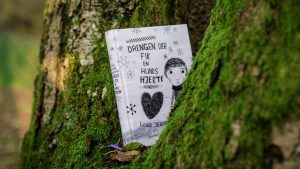 The second book is Små frø (Small Seeds) by Mette Hegnhøj and it is…. sort of a modern retelling of an old Danish story. Yet it is not a retelleing at all. I do not quite know how to explain it. However, I have heard it should be really good, so I really look forward to reading it! Well back at home after a wonderful evening at my mother-in-law’s to celebrate my boyfriend’s brother’s 17th birthday. It was so hyggeligt and fun, but I didn’t get any reading done. I didn’t expect to read much either, so it’s alright. Now I will begin my second book and see how long I can keep going. This staying up late is so not for me. I just had a boyfriend-break, where we watched some TV and ate a b lot of popcorns! I’ve looked at several other blogs and instagrams to see how everyone else is doing, and now I will go to bed and try to read the last few pages of Små frø before I fall asleep. I hope your readathon goes well! I have a big heart for sleep, so I managed to sleep for a good seven hours tonight, but am now back on track. It is amazing to see how much people can read. I am a slow reader and I also need a lot of breaks when I read. It wasn’t always like that, but I have lost some of my ability to concentrate for longer periods of time. Hopefully I can get it back with exercise. I know it is something I need to work on. I am now starting Til døden os skiller (Until Death Do Us Part) by Kit A. Rasmussen, which is my third book in this readathon. I have just put down Til døden os skiller (Until Death Do Us Part) by Kit A. Rasmussen which was such an amazing read! It left my heart a little hollow, so instead of continuing with Kopierne (The Copies) by Jesper Wung-Sung as I had originally planned, I am going to dive into the Danish edition/translation of Harry Potter and the Philosopher’s Stone to lighten the mood a little for these past minutes. I wish you all a happy final spurt and look forward to reading some of the other readers’ blog posts about these last few hours, since I completely vanished from the surface and haven’t paid attention to other readathoners since 9 am this morning. But now I will read. Time’s up. The readathon is over and we can go back to our normal lives. I am so happy I finally got to try this out, but I must admit that I was a far better reader this morning than I was yesterday afternoon and evening. Next time I must make sure to be in a time zone, where the readathon starts in the morning! (I’m obviously kidding – I will not move time zone! But I might structure my readathon differently). I am amazed with myself. I actually got to finish three books and a short story. Granted none of the books were bricks (Game of Throne size), but I really didn’t think I could concentrate long enough to finish more than one book. 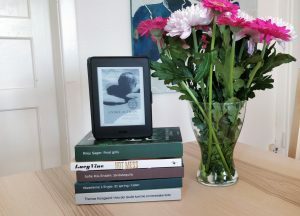 I had imagined giving up and starting a new one, once in a while – or go back to one a gave up on earlier in the readathon. I am so glad that I decided to go to sleep, because I woke up much more determined and hungry than I was when I went to bed. All in all: 494 pages. This was a great experience, but I will definitely have to make som changes for the next one I want to participate in. I am not big snacker when I read, but I managed to eat through two bags of popcorn (with help from my lovely boyfriend! ), an apple and half a bag of gifflar (cinnamon buns) plus a bottle or two of water and two glasses of soda. Plus the proper meals of course. I missed some cookies though, so I will definitely add that to my “things to remember” list for next time. Now I crave pancakes, so I will adventure out for a walk with former mentioned boyfriend and buy some oats, so we can have afternoon pancakes before we have to leave for another birthday (same boy – different part of the family)! It has been a super busy weekend, and I was way to anxious about it before it started, but I have actually managed to enjoy it all the way. And pause, when I needed to. I have a whole week off work and studies now due to the autumn holidays. I am so in need of it! It is going to be a designated reading holiday, where I have a little more than seven books I’d like to read. Luckily Dewey’s Readathon is next weekend, so I expect it to be possible to read all of the books I’d like to. A few of them are for my teaching studies and are only a hundred pages or so long, which I believe will be quickly read. 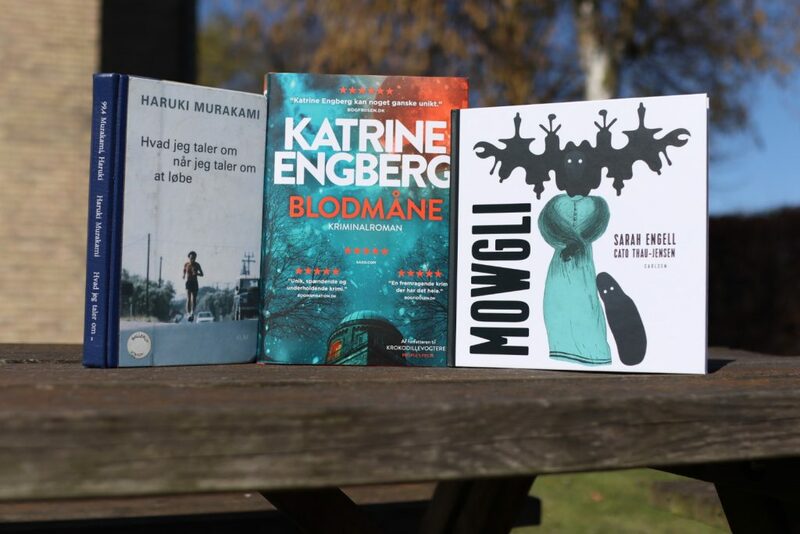 This weekend Herlufsholm is hosting their annual Fantasy Book Fair and I intend to join! The programme is filled with authors I’d like to hear (and see). I hope to be able to be there for the entire Friday, but I have a doctor’s appointment early Friday and am not sure I’ll be able to make it to 12 when it starts. I went last year for the first time ever and was so scared of all the people there who knew a lot more about the books and the authors present than I did, that I spend most of the time hiding behind my boyfriend. This year I will spend mostly listening I think. The programme looks so good and interesting that I honestly think I could sit and listen for the entire weekend. Unfortunately I can only be there on Friday, but I intend to make the best of it! The full programme can be seen here, but I have highlighted three of the features I find the most interesting below, but let me just state that there is so much more to come for. Rainbow Rowell has been everywhere on my instagram feed this year and I really would like to know why that is. What makes her writing so special and/or magnificant? I have recently started Carry On to have some sort of background knowledge before the interview and expect to finish it before Friday. This, however, is the one thing I don’t think I can make after getting my doctor’s appointment, but I still hope to go! Two things here: Firstly, I received the first novel in the Soulless series last year at Christmas and she has a very peculair, yet funny, writing style! And I’d like to hear her thoughts on the series. Secondly, I watched Rasmus Hedeboe perform an interview last year and I was really caught by his enthusiasm, so I look forward to seeing him in action again this year! These two Danish authors have piqued my interest this year. With their ever grounded easy-loving way of interacting with fans and followers I was hooked. I haven’t read Panteon yet, but the years only have so many days and it seems I have more books to read. But it will come, someday! Spektrum on the other hand I have begun and I love it! I do not understand one single thing about the plot (or well, maybe I understand one or two things), but I still enjoy it so much and I love how I as a reader can feel how Nanna has cared for the details. So; I have to see this! Another exciting event this week is Dewey’s Readathon. I have been wanting to participate for the past year, but only now seem to be able to do so. Last year I didn’t know what it was, but it seemed interesting and I followed a few blogs and instagrammers. I had only just begun my instagram adventure myself, so I think it was a good start to just observe. In the spring things just didn’t add up for me to participate, but this time I really want to. I have a birthday party in the middle of it all, but I will make it work by still reading as much as possible for the remaining hours. Since I am not good at 24-hours wake time, I also need to sneak in a little (lot of) sleep. I will keep you posted on this event!